It’s the most wonderful time of the year to take a trip to Broadstairs. It will definitely put some old-fashioned magic back into your Christmas Season. Broadstairs at Christmas has real Dickensian charm and is really very special. The High Street is pretty, and all lit up, and there a huge Christmas tree outside Pierremont Park. There are traditional coloured lights along the seafront itself and the seaside has never felt more Victorian. There is an extraordinary beauty to the winter light over the sea, and a real warmth to the Christmas lights in the town. It is a perfect setting for a short weekend break. And a magical setting for a traditional family Christmas. 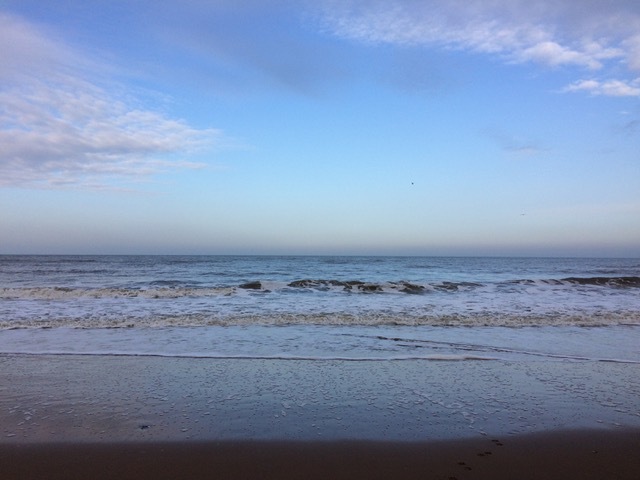 If you google search “Broadstairs holiday lets” to find the perfect place to stay, you won’t find better than Beeches Holiday Lets for comfortable family accommodation. Check availability for your chosen dates using the form on our home page. There are some lovely Broadstairs restaurants if you want to eat out. You can find everything from traditional Christmas lunch to freshly caught seafood. It is wise to book up soon because places will fill up. However, Broadstairs is also a great place to shop for local seasonal produce with top quality butchers, greengrocers and wet fish shops. Beeches Holiday Lets have well-appointed kitchens and all of our holiday homes are great places to cook and enjoy Christmas Dinner. Make sure your holiday trip includes a visit to nearby Ramsgate. Winter Lights here are going to the next level. At Christmas the boat owners in the Harbour decorate the boats with Christmas lights and the results are absolutely stunning. The boats make a very Christmassy yet totally unique sight. Take an early evening stroll and enjoy a hot chocolate (or something stronger) at the many charming bars and bistro’s that line the Harbour and take in this utterly magical sight. 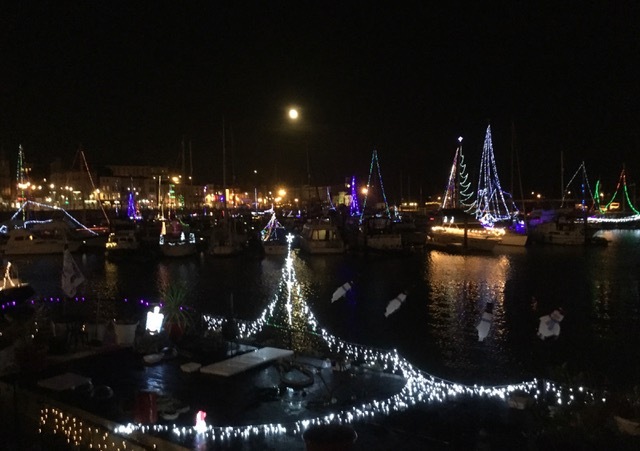 Finally, on the opening night of the Northern Lights there will be a Lantern Parade on 8th December at 4pm, through Ramsgate Town, ending at the Harbour itself. This is a small but growing local parade ‘Winter Lights’ and is great fun and extremely pretty. This year’s theme is ‘Shooting Stars’ and there is a programme of workshops, see here for sessions. 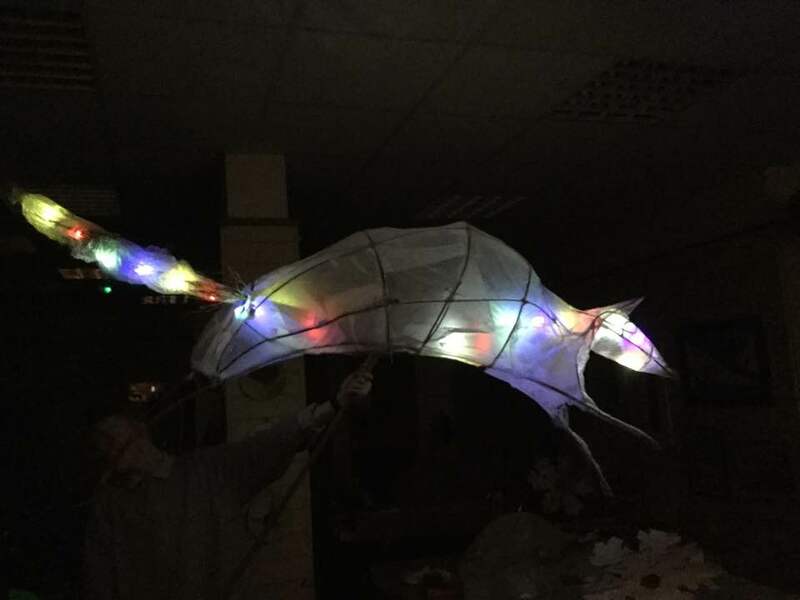 if you want to make your own lantern and join the parade instructions are here, you need wet strength tissue, pva glue and willow sticks, so why not make a lantern at home with the kids, and come along to join in the fun. Make it a December to remember, and visit the winter lights of Thanet. Because whether it’s a weekend break, or a whole Christmas holiday, Broadstairs and Ramsgate are wonderful places to be. Book now and enjoy that Christmassy feeling early. And this time the magic is real.